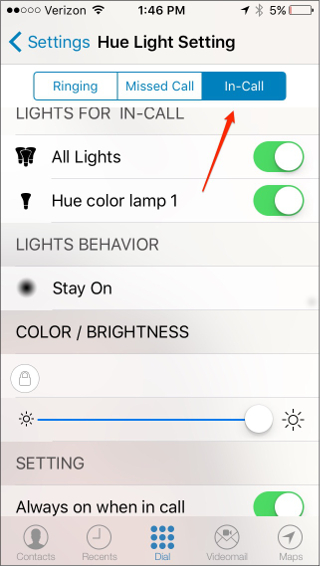 With customization, you can set up different ringing light settings on multiple devices with a Hue bridge. At your home or workplace, you will be able to tell who each call is for who based on the color of the ringing lights. To get started, click on the Settings (gear) icon on your Convo app. 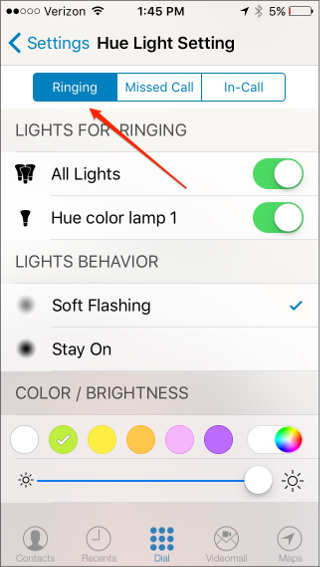 Then click on Hue Light Setting. You have two choices for lights behavior: Soft Flashing or Stay On. 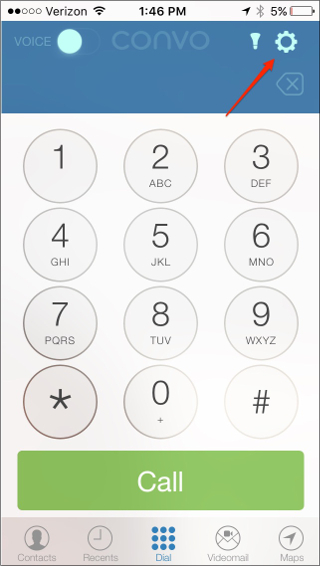 With Soft Flashing (as shown in the gif below), the light will turn on and off with every ring until you answer or when the call party disconnects. If you choose Stay On, the lights will only illuminate and stay on when you are currently receiving an incoming call. Control the ambience of your personal or work space! You can pick any of the six default colors or use the color wheel for many more options. You can also adjust the brightness level to your liking. Want to get ringing notifications in your office only? How about adding the living room, too? What about all of your lights? You decide! Be informed instantly if you have a missed call! Your Convo Lights will turn red and slowly fade over five minute intervals to let you know that there are missed calls. 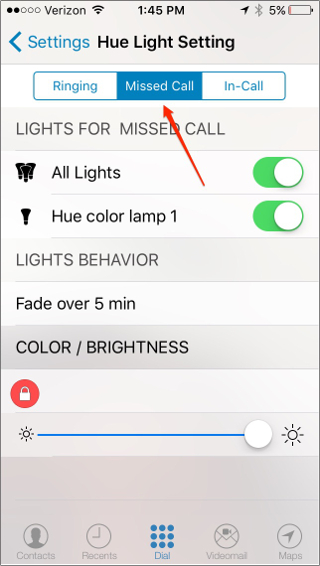 You can specify which lights to use as notification for missed calls—if your setting is not already set to All Lights. This feature is convenient because it automatically brightens your room so you don't have to get up and adjust the lighting when you get a call! 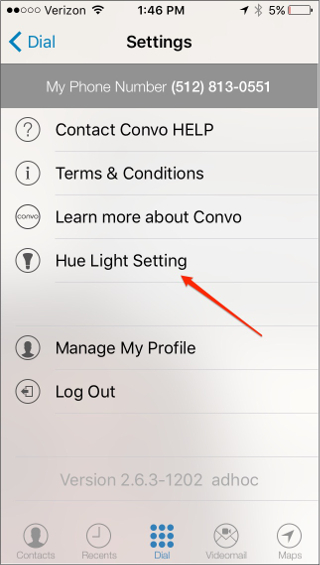 There are many third-party apps available that are compatible with Convo Lights. One of the apps we use is OnSwitch App—a simple way to use Philips Hue with over 30 beautiful lighting scenes! 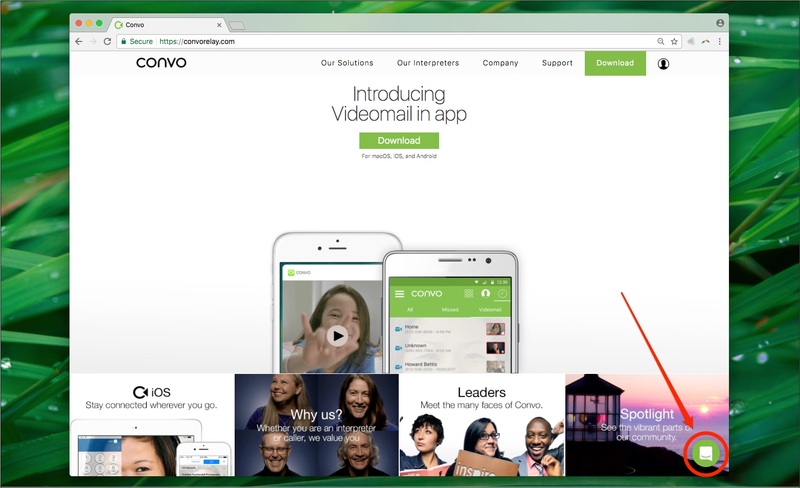 If you need further help, you can click on the green icon at the bottom-right corner of our website to start a live chat with our team.